DemoCurmudgeon: Walker's Legacy? Polluted Drinking Water! Mystery solved? I think we've come a little bit closer figuring out why farmers and rural voters like anti-government Republicans, even at the risk of their lives. It’s possible that faulty septic systems are causing some portion of the contamination, or that wells need to be upgraded. 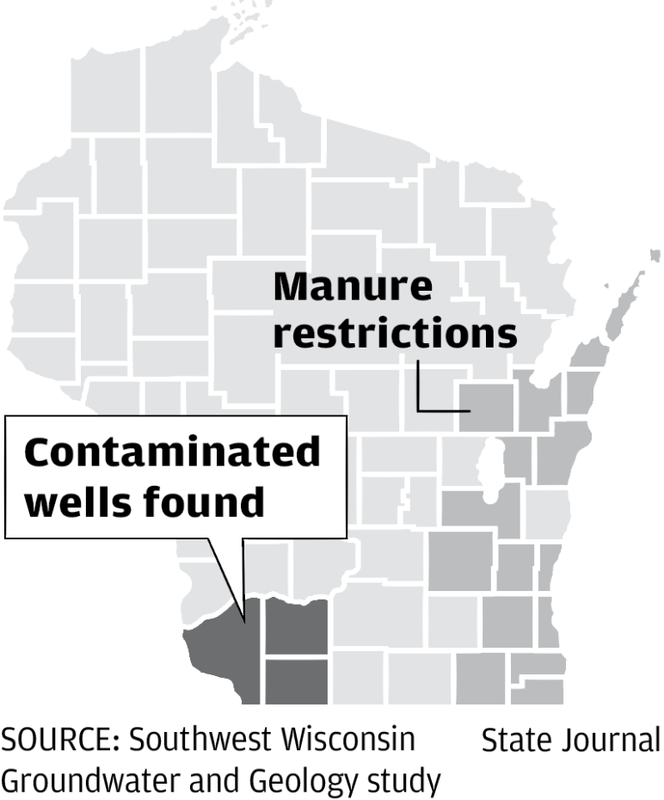 Researchers plan to determine if manure from dairy or swine operations or faulty septic systems are the main culprit in tainted drinking water in southwest Wisconsin. The first scientific study of drinking water quality there found that four out of 10 wells were contaminated by dangerous bacteria or chemicals. If the presence of the bacteria is confirmed, Abbott said residents should stop drinking their water until they can have their well disinfected. JS: In the east, Kewaunee and Door counties have long had problems with contaminated drinking water. 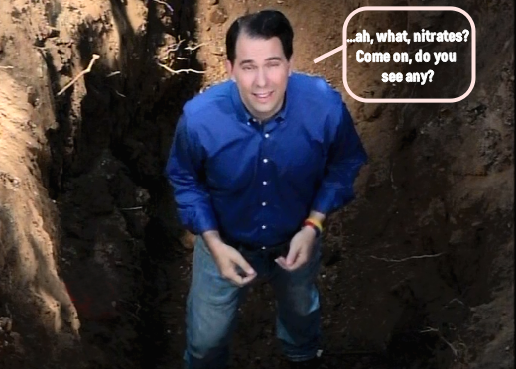 After years of pressure from residents and the federal government, Walker approved the new manure standards. But the Wisconsin Dairy Business Association fought to narrow the rule, and it was limited to the 15 eastern counties. 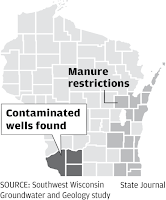 State geologist Ken Bradbury said enough was known about conditions in the southwest part of the state to justify applying the manure regulations there, too. The regulations aren’t yet being enforced because required technical standards weren’t included in the rule approved in 2018 by the Natural Resources Board and Gov. Scott Walker after two years of work by the DNR ... It’s unlikely the technical standards will be written and approved in less than 18 to 24 months, said Lacey Cochart, director of DATCP’s bureau of land and water. Walker’s DNR declined to participate in the three-county study, said Scott Laeser, water program director for the nonprofit Clean Wisconsin, which helped coordinate funding. A DNR spokesman declined to comment.